AHMEDABAD: The first ‘Coral Atlas’ of the state prepared by the Gujarat Ecology commission was released on Saturday. 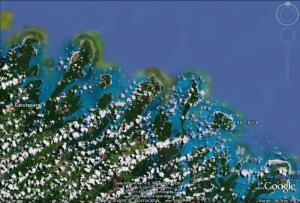 The Atlas, based on thematic maps of coral reefs on the coastline of the state reveals the latest figures on the reefs. The atlas not only gives the figures for coral reefs in the state but also give details of the habitat scenario of each of these reefs. The Atlas has been prepared with technical assistance from Bhashkaracharya Institute of Space Applications and Geo-Informatics. Principal secretary – Forests and Environment, SK Nanda said the atlas which is a study report will serve as an important baseline in preparing the upcoming ‘Integrated coastal zone management plan’ for Gujarat. He further said that earlier the commission came out with a similar study on mangroves all along the state’s coastline. The coral atlas will also be useful to the ground level beneficiaries, various stakeholders and natural resource managers. 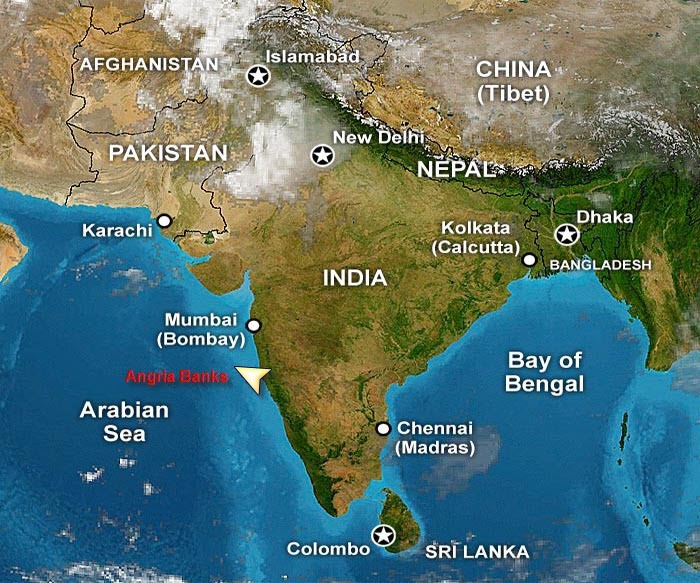 The Angria Banks are a shallow submerged atoll island located 100 miles off the western coast of India. For decades the existence of this shallow has been known by mariners navigating India’s coastline who steer clear from this navigational hazard, which lies just 20meters from the surface of the ocean. But it was only recently that the Angria Banks have been researched and explored by Marine Biologists to conduct a feasibility study as to make the area as a destination for marine tourism. In 2008 the government of India announced a large research grant to to determine the feasibility of further marine tourism in the area with the expectation that the banks contained extensive coral reef that may provide habitat for variety of fishes that could make the area one of India’s best recreational diving destinations. In a recent Times of India article, India’s Union department of science and technology (DST), conducted a two-day exploratory study of the Angria Banks with five scientists to document and survey the area which spreads over 400 km and only 20 meters below the seas surface. The sea floor surrounding this bank is about 100 feet deep and suddenly rises to just 20 meters The lead scientist Sarang Kulkarni noted that he could not believe the marine wealth that existed there, and claimed it could easily be the largest discovery of coral reef in the entire country because the area is as big as the size of Mumbai which is one of India’s largest cities. The scientists documented at least 1,000 varieties of fish species, and coral life including Great White Shark that inhabit the waters. 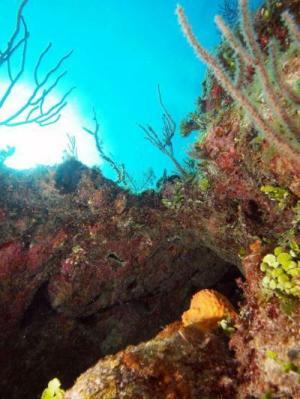 This find is great news for scuba divers and a place to watch out for as a prime future scuba diving destination. Its close proximity to the Indian Subcontinent means that the sites are accessible from major Indian cities like Mumbai and Goa with a four hour, high speed boat ride. However to fully appreciate the Angria Banks one would still have to have a liveaboard as there is so much unknown about what treasures and marine wealth inhabits this underwater oasis. Currently however there are no major dive centers offering recreational diving though some may arrange for trips on request. The researchers are pushing the Government to declare the Angria Banks as a protected marine reserve and develop scuba tourism and protect the region from fishing trawlers. So we will simply have to watch and wait to see if the Angria Banks emerges into a prime scuba destination. ScienceDaily (Apr. 19, 2011) — Earth has 657 more barrier islands than previously thought, according to a new global survey by researchers from Duke University and Meredith College. The researchers identified a total of 2,149 barrier islands worldwide using satellite images, topographical maps and navigational charts. The new total is significantly higher than the 1,492 islands identified in a 2001 survey conducted without the aid of publicly available satellite imagery. All told, the 2,149 barrier islands measure 20,783 kilometers in length, are found along all continents except Antarctica and in all oceans, and make up roughly 10 percent of Earth’s continental shorelines. Seventy-four percent of the islands are found in the northern hemisphere. Barrier islands help protect low-lying mainland coasts against erosion and storm damage, and can be important wildlife habitats. The nation with the most barrier islands is the United States, with 405, including those along the Alaskan Arctic shoreline. The survey results appear in the current issue of the peer-reviewed Journal of Coastal Research. Barrier islands often form as chains of long, low, narrow offshore deposits of sand and sediment, running parallel to a coast but separated from it by bays, estuaries or lagoons. Unlike stationary landforms, barrier islands build up, erode, migrate and rebuild over time in response to waves, tides, currents and other physical processes in the open ocean environment. The 657 newly identified barrier islands didn’t miraculously appear in the last decade, explains Matthew L. Stutz, assistant professor of geosciences at Meredith, located in Raleigh, N.C. They’ve long existed but were overlooked or misclassified in past surveys. Previously, for instance, scientists believed barrier islands couldn’t exist in locations with seasonal tides of more than four meters. Yet Stutz and Pilkey’s survey identifies the world’s longest chain of barrier islands along a stretch of the equatorial coast of Brazil, where spring tides reach seven meters. The 54-island chain extends 571 kilometers along the fringe of a mangrove forest south of the mouth of the Amazon River. Past surveys didn’t recognize it as a barrier island coast partly because older, low-resolution satellite images didn’t show a clear separation between the islands and mangrove, Stutz says, but also because the chain didn’t match the wave-tide criteria used to classify barrier islands in the United States, where most studies have been conducted. Scientists failed to consider that supplies of replenishing sand are so plentiful along the equatorial Brazilian coast that they can compensate for the erosion caused by higher spring tides. Stutz and Pilkey say the survey’s findings — which formed part of Stutz’s dissertation when he was a doctoral student at Duke — illustrate the need for a new way to classify and study barrier islands, one that takes into account the complex interplay of local, regional and global variables that shape where the islands form and how they evolve. “Are there clues there to predict which of today’s islands might be in danger of disappearing in the near future?” Stutz asks. The potential for significant climate and sea level change this century “underscores the need to improve our understanding of the fundamental roles these factors have played historically in island evolution, in order to help us better predict future impacts,” Pilkey says. “Barrier islands, especially in the temperate zone, are under tremendous development pressure, a rush to the oceanfront that ironically is timed to a period of rising sea levels and shoreline retreat,” he says. ScienceDaily (Apr. 17, 2011) — The coastline in Arctic regions reacts to climate change with increased erosion and retreats by half a metre per year on average. This means substantial changes for Arctic ecosystems near the coast and the population living there. A consortium of more than thirty scientists from ten countries, including researchers from the Alfred Wegener Institute for Polar and Marine Research in the Helmholtz Association and from the Helmholtz Centre in Geesthacht, comes to this conclusion in two studies published in Estuaries and Coasts. They jointly investigated over 100,000 kilometres and thus a fourth of all Arctic coasts and their results have now been published for the first time. The changes are particularly dramatic in the Laptev, East Siberian and Beaufort Seas, where coastal erosion rates reach more than 8 metres a year in some cases. Since around a third of the world’s coasts are located in the Arctic permafrost, coastal erosion may affect enormous areas in future. In general Arctic coasts react more sensitively to global warming than coasts in the mid-latitudes. Up to now they have been protected against the eroding force of the waves by large sea ice areas. Due to the continuous decline in sea ice, this protection is jeopardised and we have to reckon with rapid changes in a situation that has remained stable for millennia. Two thirds of the Arctic coasts do not consist of rock, but of frozen soft substrate (permafrost). And precisely these coasts are extremely hard hit by erosion. As a rule, Arctic regions are quite thinly populated. However, as nearly everywhere in the world, the coasts in the far north are important axes for economic and social life. The growing need for global energy resources as well as increasing tourism and freight transport additionally intensify anthropogenic influence on the coastal regions of the Arctic. For wild animal stocks, like the great caribou herds of the north, and the widespread freshwater lakes near the coast progressive erosion brings about significant changes in ecological conditions. More than thirty scientists from ten countries were involved in preparing the 170-page status report entitled “State of the Arctic Coast 2010.” The study was initiated and coordinated by the International Arctic Science Committee (IASC), the international joint project Land-Ocean Interactions in the Coastal Zone (LOICZ), the International Permafrost Association (IPA) and the Arctic Monitoring and Assessment Programme (AMAP) working group of the Arctic Council. “When systematic data acquisition began in 2000, detailed information was available for barely 0.5% of the Arctic coasts,” says Dr. Hugues Lantuit from the Alfred Wegener Institute (AWI). At the same time the geologist from AWI’s Potsdam Research Unit heads the international secretariat of the IPA and is also one of the coordinators of the study. After over ten years of intensive work we have now gained a comprehensive overview of the state and risk of erosion in these areas. “The Arctic is developing more and more into a mirror of various drivers of global change and into a focal point of national and worldwide economic interest,” says Dr. Hartwig Kremer, head of the LOICZ project office.